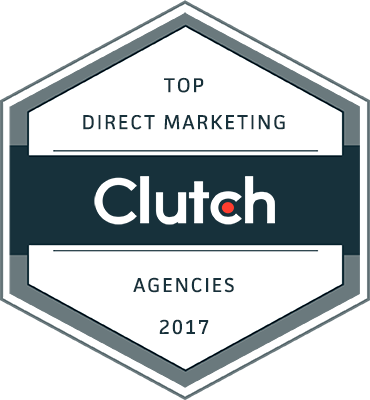 We’re happy to announce that Clutch.co, a leading and highly respected B2B research firm specializing in marketing agencies and technology, has listed OpGen Media as a top direct marketing agency on Clutch. While we’re not a traditional agency, both in terms of our performance-based guarantee, our business model and our approach, we do have some agency-like qualities that allow us to compete head-on with some major marketing firms. And since we’re not focused on awards, nor have we ever applied for one, we never cared much about winning any. But, Clutch is different. Clutch’s research is based on an in-depth research methodology which includes factors like an agency’s client list, portfolio, and performance. What makes this particularly special, though, is that Clutch wasn’t the only one evaluating each of the agencies on their platform. Clients played a hand, too. Clutch collects and verifies client reviews for the 7,000+ agencies on their site, and it’s the voice of the client that weighs most heavily into the site’s rankings. Out of these 7k+ agencies, roughly about 100 agencies were selected as a “top” agency in their respective category. We’re proud to be mentioned among some really great organizations from all disciplines. What’s Ahead for OpGen Media in 2018? While we continue to serve large tech companies with their lead generation efforts, MQLs and SQLs, we’re expanding to serve as a more ‘balanced’ demand generation partner to SMBs and Enterprises, and we're expanding to more industries. What do we mean by this? We’ve been quietly rolling out our outsourced demand generation division, where we are servicing B2B companies on setting up and building their marketing operations and tech stack (i.e. HubSpot, Salesforce, etc. ), taking a targeted approach to SEO, setting up proper attribution at the individual and account levels, building intent models to find in-market buyers, and more. If interested in learning more, you can let us know here!